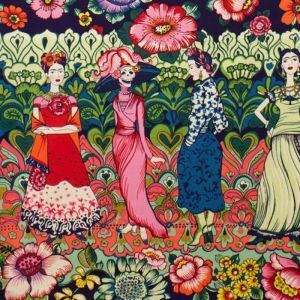 "Cactus Flower" in the blue colourway. 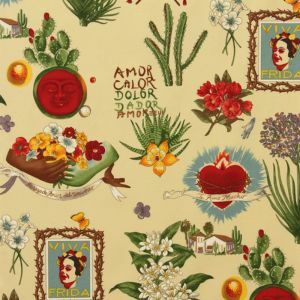 From Alexander Henry's Folklorico collection. 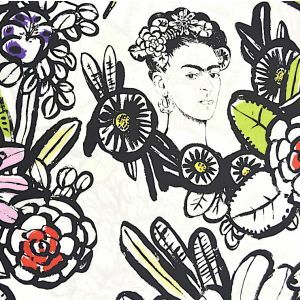 Stunning print featuring the iconic Frida Kahlo surrounded by florals and dragonflies.